Looking for a job that makes you want to go to work? Why not consider your local Great Wraps? You’ll learn how to create delicious food, serve the world’s greatest customers, and have fun doing it! Just provide us with the information below and we’ll forward it to the owner of your desired location. 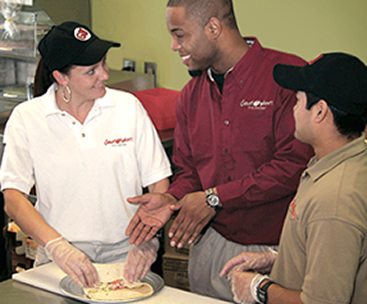 We’re always looking for dependable team members. Good luck!